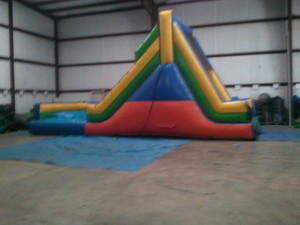 This is the slide that is also used on the 54' obstacle course. It is a great slide to use with water because of the pool. Wide abd several climbing options make this an choice for your water day.